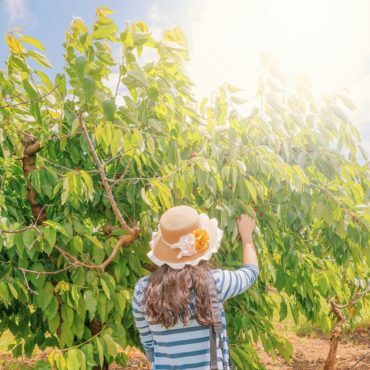 Australia’s first cherry crops were grown here and the region has many varieties of delicious cherries. Our rich soils and consistent rainfall produce world class wines and delicious stone fruits including plums, peaches, nectarines and apricots. Our agricultural landscapes change with the seasons bringing stunning vistas for keen photographers, and city folk who seek peace and tranquility. The Wiradjuri people helped the first Europeans to settle here, and gold was discovered in the region; there are stories on the land itself. Travelling through the varied landscapes to the broad streets and historic buildings of our towns, the visitor finds farm gate produce, antique shops, boutiques, and handmade offerings. Each year cultural events see thousands flood to the towns, celebrating histories of the gold rush, the wool industry, and the waves of newcomers from across the globe, who brought their skills to develop our pastoral, mining, agricultural and horticultural industries. Enjoy the relaxation that comes with a change of pace. The Hilltops Region is waiting for you.